8.75″ x 31.5″ x 32.5″ | Glass Dimensions: 24.25″ x 28.25″ | 56 lbs. Our Tabletop Makeup Mirrors are made right here at Hot Bricks. Built using a high quality mirror, lined with dimmable LED lights, these mirrors use a fraction of the power that incandescent and CFL versions use. There is no need to worry about bulbs. There are three outlets for powering your makeup, and hair devices, and USB outlets for charging phones, tablets, and other small electronics. Notes: The table top mirror contains all the features of the rolling mirror, only in a more compact housing. 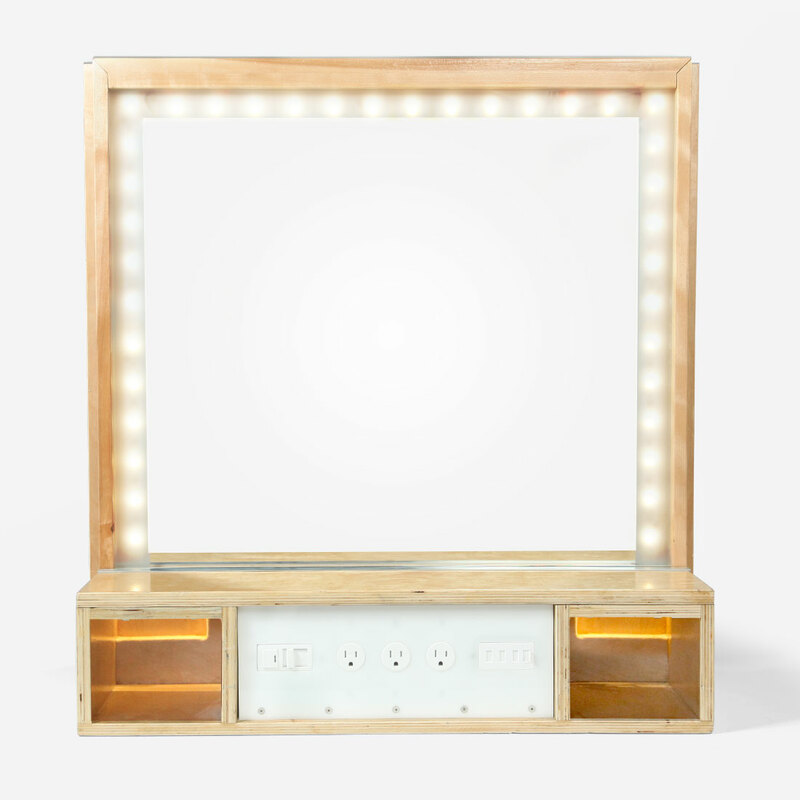 Each mirror runs on standard 120V, 15A power, and features dimmable LED lighting, 3 120V plugs, and 4 USB charging ports.